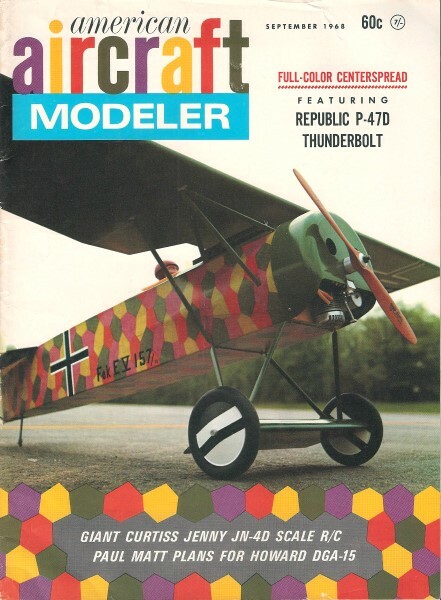 Cover Photo: True scale in all dimensions is this R/C Fokker D-VIII by Joe Tschirgi. Powered by a Supertigre 60, it is equipped with Digimite 4Rs radio. Authentic camouflage has individually dyed silk lozenges. Copyright © 1967 by Potomac Aviation Publications Inc. All .rights reserved. Printed in the U.S.A.